Imagine ice skating under the 1,000 year old walls at the Tower of London or gliding along in the ice rink surrounded by beautiful winter scenery at Hyde Park. The ice rinks located throughout London offer visitors and Londoners alike the chance to enjoy ice skating in some of the city’s most historic and iconic spots. This classic winter pastime is fun for the family, a romantic choice for a couple ice skating hand in hand or simply a memorable way to spend an afternoon during your stay in London. Once again the city will be hosting ice rinks in many of the most popular spots in London, from the always popular ice rink at Somerset House near Trafalgar Square to the fun ice rink at the base of the London Eye. Here’s a look at some of the best spots to go ice skating in London this year! One of London’s most popular ice skating spots, the courtyard at Somerset House will once again be transformed into a festive winter setting complete with ice rink, great dining spots to warm up with a cup of cocoa and a Christmas arcade for doing a bit of holiday shopping during your visit. 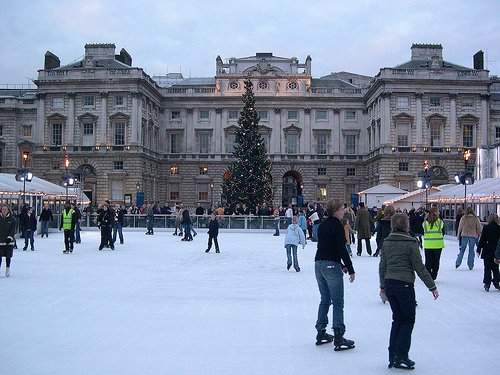 With skating sessions all day and even later into the evenings on Club Nights, the Somerset House Ice Rink is one of the top spots in London to enjoy the festive winter atmosphere. Somerset House is conveniently located on the Strand near Trafalgar Square, Covent Garden and the West End. Guests staying in our lovely Eden studio rental or stunning Savoy two bedroom vacation rental near Trafalgar Square will be just around the corner from the winter fun at Somerset House! To find out more, visit the Somerset House Ice Rink website here. 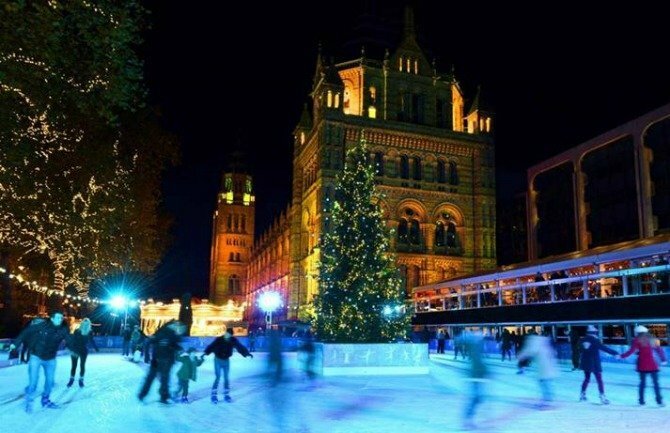 A favourite with guests staying at our Kensington and South Kensington vacation rentals, the Natural History Museum Ice Rink is a fun break from visiting exhibitions along Museum Row. The soaring towers of the beautiful Natural History Museum create an unforgettable backdrop for enjoying a skate around the 450 square metre ice rink. If you’re staying at our charming Queensgate studio loft or Cornwall one bedroom vacation rental in South Kensington, you’ll be just moments from the Natural History Museum Ice Rink during your stay in London. This ice rink is conveniently located near the South Kensington Tube Station, which makes it quick and easy to reach from our London Perfect vacation rentals in Chelsea, too! To find out more about ice skating in South Kensington, visit the London Perfect Blog here. Head to Hyde Park for a magical holiday setting at the popular Winter Wonderland where you can ice skate on the UK’s largest ice rink. The Winter Wonderland is a fun setting for the whole family, with the ice sculptures at the Magical Ice Kingdom, a view overlooking Hyde Park and London on the Giant Observation Wheel, fun at the Christmas Circus and shopping at the Christmas Market. 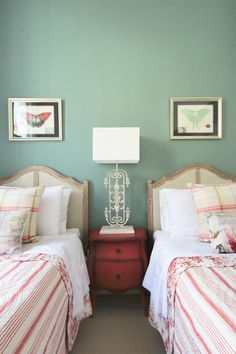 Guests staying at our lovely Mayfair one bedroom vacation rental can stroll over to nearby Hyde Park to enjoy the events, holiday atmosphere and fun at Winter Wonderland. To find out more, visit the Hyde Park Winter Wonderland 2012 website here. Certainly one of the most evocative settings for ice skating in London, the Tower of London is once again hosting an ice rink set right in the moat of one of the city’s most important landmarks. During your visit to the Tower of London just head outside where you’ll find the ice rink under the iconic battlements and crenelated towers. It’s a wonderful historic setting for ice skating right in the heart of London. If you’ll be staying at our pretty Tower Bridge vacation rental overlooking the Thames, you’ll be not far from the ice skating fun at the Tower of London. Since the ice rink is smaller than other locations and the historic setting is a huge draw, we strongly recommend booking tickets for your skating session in advance. To find out more, visit the Ice at the Tower website here or the London Perfect Blog here. 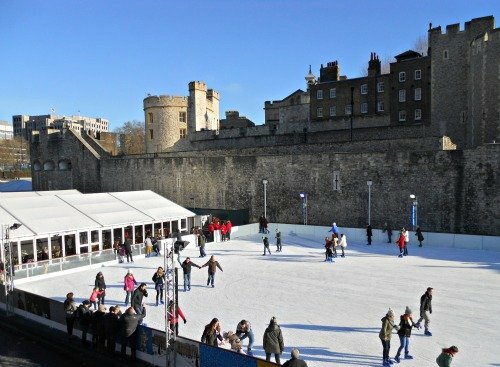 Enjoy ice skating at the Tower of London this year! Surrounded by the soaring buildings of Canada Square and a festive setting with holiday lights twinkling, the ice rink at Canary Wharf is a popular spot for Londoners for enjoying shopping, dining out and a skate in this trendy London setting. This year visitors can enjoy the first skate path in London, which will lead from the main ice rink through the trees around the outside of Canada Square. Canary Wharf is conveniently located on the Jubilee Line on the Underground, and if you haven’t visited this area of London before the holidays are a great time to check it out. One of London’s largest shopping centres, Westfield Shopping Centre in Shepherd’s Bush is a dream setting for holiday shopping in London. In addition to the extravagent light displays, shoppers can also enjoy a 450 square metre indoor ice rink set up in the Atrium. 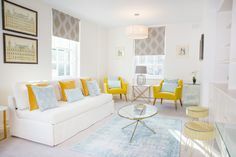 Westfield Shopping Centre is easily accessable from all of our London Perfect Notting Hill and Kensington vacation rentals and is just a short stroll from our Gladstone two bedroom vacation rental near Shepherd’s Bush. Find one of the best selections of shops in London and enjoy the holiday setting at Westfield Shopping Centre this holiday season. To ensure you can enjoy ice skating during your visit to Westfield Shopping Centre in Shepherd’s Bush, book your tickets in advance online. To find out more, visit the Westfield Shopping Centre website here. 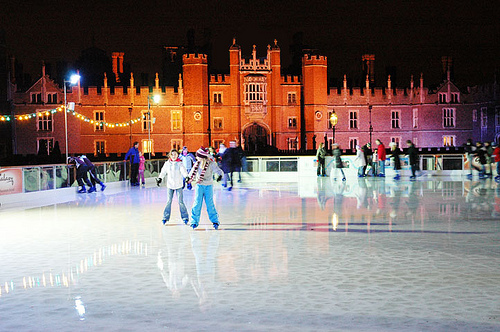 Celebrating its 10 year anniversary, the ice rink at Hampton Court Palace is a lovely setting for ice skating during the holiday season. 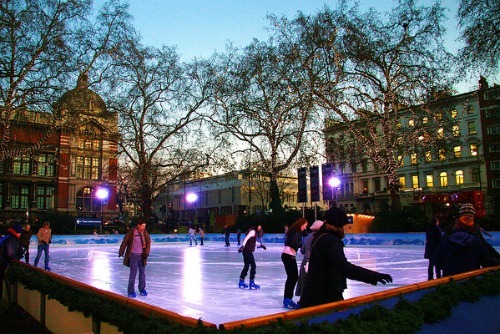 This year the ice rink is open until January 13, later than most ice rinks in central London. Enjoy a visit to Hampton Court Palace, once the royal residence of King Henry VIII, and after hit the ice rink for a fun time ice skating with the beautiful Palace in the background. Hampton Court Palace is about a 30 minute train tide from London’s Waterloo station via the South West train line. To find out more, visit the Hampton Court Palace Ice Rink website here. Enjoy fabulous views of the Thames and iconic London sights across the river in Westminster from the ice rink at the popular London Eye. Take a ride on the London Eye or simply stop by for a fun time “Eyeskating” under the lights of the London Eye and a beautiful evening stroll along the Thames. Tickets for the time skating sessions are sold online, and we highly recommend booking your tickets in advance for ice skating at the London Eye. To find out more, visit the London Eyeskating website here. Posted on Wednesday, November 7th, 2012 at 11:48 am in What's On. You can follow any responses to this entry through the RSS 2.0 feed. You can leave a response, or trackback from your own site. Last Weekend for Ice Skating in London Where to Go Ice Skating in London this Winter London’s Most Charming Ice Skating Rink Go Ice Skating in South Kensington!